1. Speak English better than any native speaker. 2. Run over at least three tourists a year on your bike. Well, unfortunately these are three rules I’m almost instantly going to fail at (apart from maybe no. 2, I’m on course to easily meet that target!) because I am a native speaker of English and yes, I love Rotterdam. I really love Rotterdam. And here are 21 reasons why. 1. 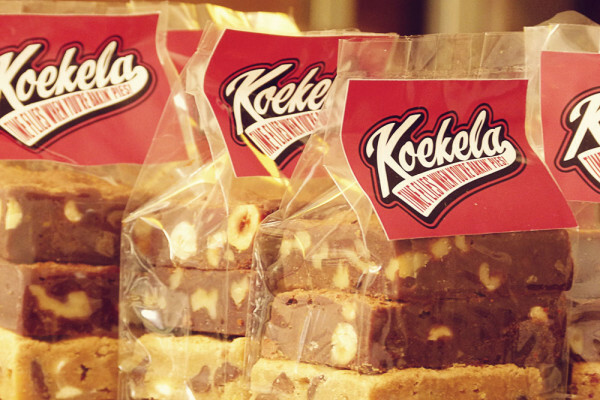 Koekela – I’m not ashamed to have a cake shop at the top of this list. This place makes the most delicious white chocolate brownies I’ve ever tasted. It was my first stop upon my return there… and it probably always will be. Yum. 2. 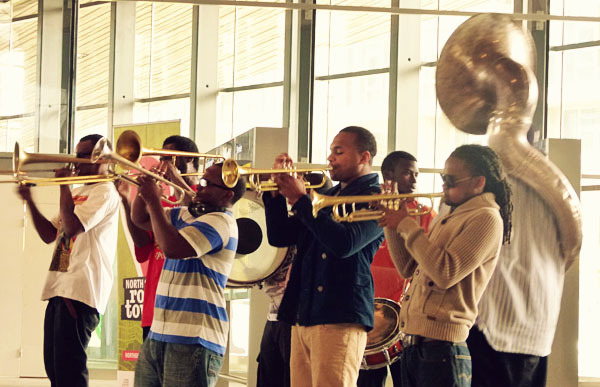 North Sea Jazz Festival – One of the best music festivals I’ve ever attended. You can read my full review for Travelettes here, including five reasons why it was better than I expected, including free jazz music around town. 3. Bikes (and big bike lanes!) 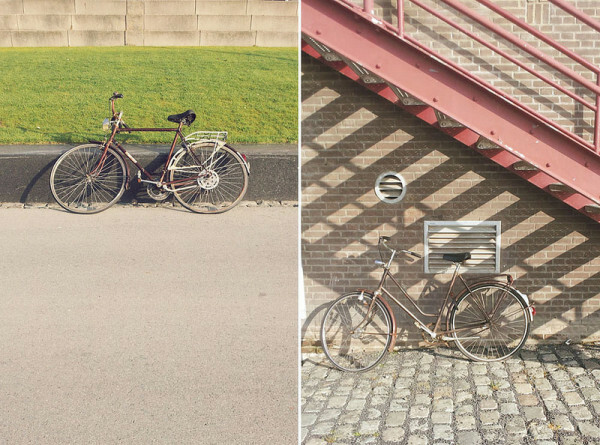 – Think Dutch city cycling, you think Amsterdam? Well, you’re wrong. 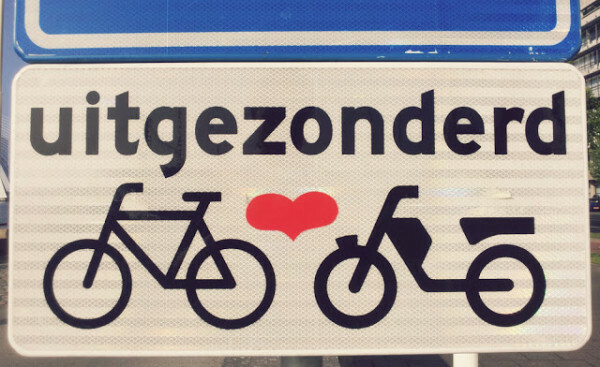 Bikes and bike lanes dominate every city, town and village in the Netherlands. Cycling around Rotterdam was a real pleasure and due to the layout of Rotterdam being more spread out and open-plan than Amsterdam the bike lanes are often wider and feel a bit safer. 4. Hotel New York – A Rotterdam institution for sea food and views across the River Maas. With Amsterdam being less than an hour away by train, we keep talking about going back to this place just for the prawn croquettes and wine list. 5. Canals – Yep, Amsterdam, get over yourself. Rotterdam has them too and they’re just as pretty. 6. 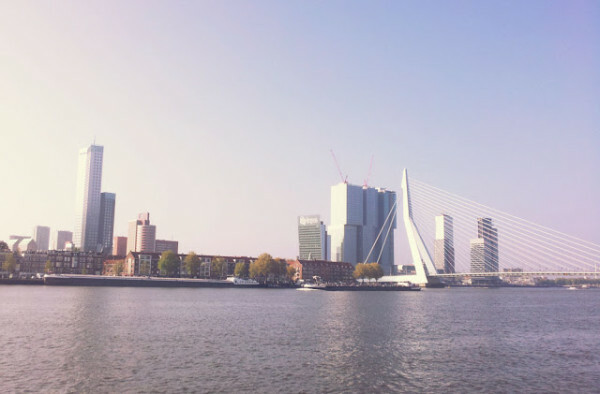 Running routes – I love running in new cities and so when I stumbled across the markers for running routes at the foot of the Erasmusbrug (Reason #22 I love Rotterdam) I gave myself a hi-5 and off I went. 7. 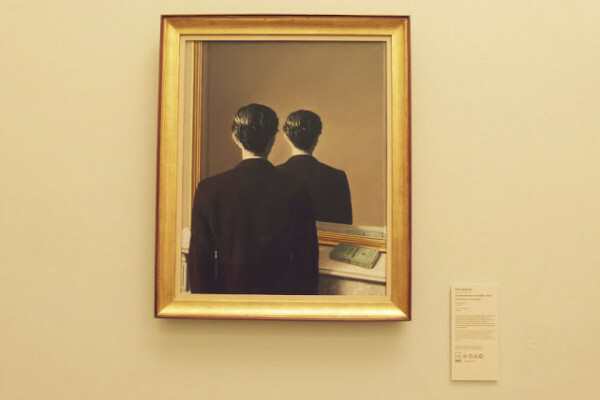 Boijmans van Beuningen Museum – One of the country’s, if not Europe’s most forward-thinking and treasured contemporary art museums, an afternoon at Boijmans will see you in the company of Picasso, Dali, Renoir, Monet, Magritte and Mondrian. Now that does not happen everyday. 8. Architecture – With the historic heart of Rotterdam devastated by the Second World War (see #21) Rotterdam literally rose from the rubble and kept on rising… in all manner of shapes, sizes and peculiar angles. 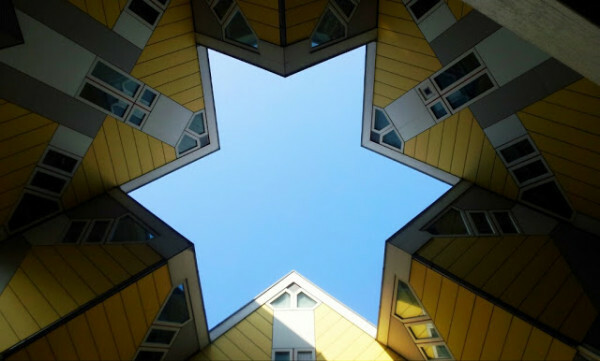 Gazing up at the Rotterdam skyline is like looking at a one-stop modern architecture museum. Fascinating and awesome. 9. The Student Hotel – Dripping in good design and served with a very affordable price tag, The Student Hotel is part fashionable student accommodation and part budget hotel – i.e. the place to stay for the budget-conscious Travelette. 11. Rotown – I visited Rotown twice this summer – once on a Friday night for drinks and dancing – both of which it delivered very well (I woke up with a hangover and aching thighs!) and the second time was a (slightly) more sober meal with the boyfriend. 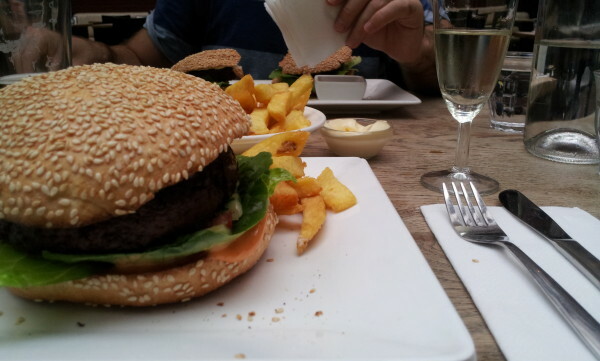 I opted for a veggie burger and a glass (or two) of prosecco. It was delicious, the service was great and on both occasions the soundtrack had me constantly reaching for the Shazam app on my phone wanting to know what all the cool music was. 12. Bagel Bakery – Yes, more food. But the Bagel Bakery on Shilderstraat could be a breakfast, brunch, lunch or evening stop on your itinerary. 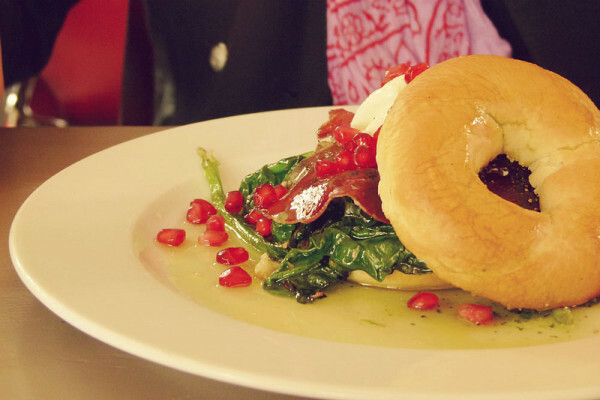 With yummy and varied bagels and an always interesting specials menu, you’ll find it hard to save room for the paving slab sized homemade apple tart, but you must – YOU MUST! 13. 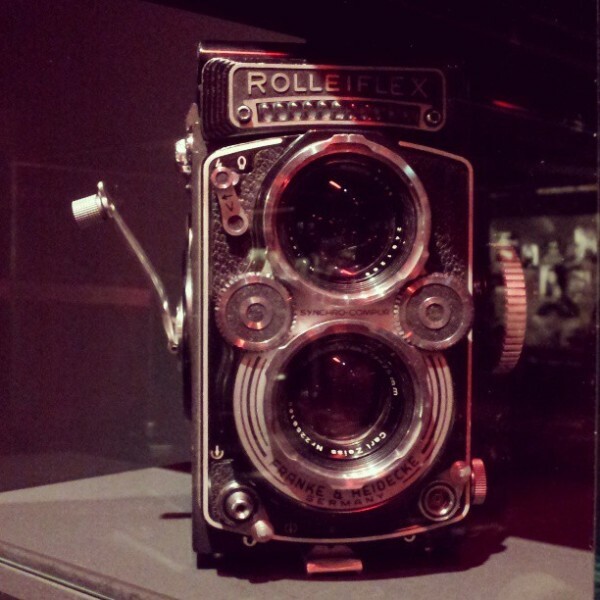 Nederlands Fotomuseum – The Netherlands is already home to my favourite photography museum (FOAM in Amsterdam) so when I went to Nederlands Fotomuseum (just a few steps away from Hotel New York) I was convinced it wouldn’t come up to standard. I was wrong. Oh, so very wrong. In fact, it leapfrogged over FOAM and is my favourite of all. I can’t wait to go back and if you do go you better go downstairs to the “Dark Room”… you’ll find out why! 14. Heart Stickers and Street Art – Spend more than a few hours in Rotterdam and you’ll start to see a reoccurring thing – red love heart stickers. They’re everywhere. I have it on good authority that they are the project of one singular Rotterdammer who wanted to bring a little love to their city. I think it works, don’t you? But yes, keep your eyes open for other sticker, stencil and street art throughout Rotterdam. 16. Nightlife – You went to Amsterdam. You partied hard. You thought “Wow, these Dutchies know how to party!”. Well, you have no idea. Get yourself, your best raving jeans and a family pack of Berocca to Rotterdam. Now that is how the Netherlands really parties. 17. World Food Festival – Happening right now and lasting an appetite stretching five weeks, the World Food Festival captures one of Rotterdam’s best features – it’s international make up. With over 170 nationalities represented in Rotterdam’s residents even without a dedicated food festival, it’s easy to taste numerous different flavours in this city, but the World Food Festival is one of the best excuses to find many of these in one place. 18. 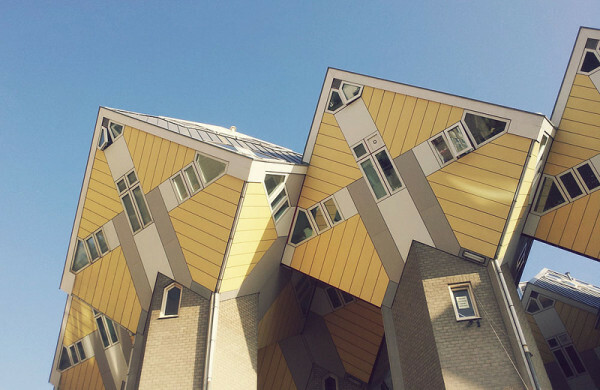 Cube Houses. How many other cities have houses like this? Look, a star! Originally built as social housing, there is now a museum dedicated to this modern architectural feat. 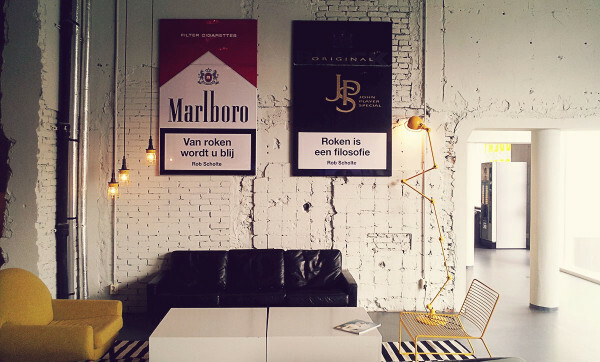 And you can even stay in them if you stay at Stay Okay Hostel, Rotterdam. 19. Bird Jazz Cafe – Of course, I was going to love a jazz cafe named after my blog – alright, a jazz cafe with the same name as my blog – but as the official after party location for the North Sea Jazz Festival and the country’s foremost jazz and soul music venue, it was a real revelation to discover this Rotterdam hot spot. And guess what the food and drinks are excellent too! 20. It’s one cool city. My boyfriend, a man of few words, described Rotterdam as “the illegitimate love child of Amsterdam and Berlin” and that’s a fairly accurate way to describe it. It’s got the creative edge, the student style and the bohemian rawness of Berlin while also boasting the quaint Dutch ways, the treasured tradition and the bikes and canals of Amsterdam. However, Rotterdam is still very much its own city and a brave new one at that…. 21. It’s one brave city. The centre of the city was all but flattened by bombings in the Second World War and it’s not difficult to imagine the impact this had. Very few cities have blossomed out of such devastation with such courage and Rotterdam did it by embracing the new, the unusual and the cool. It’s not clear if the pioneers of Rotterdam’s rebuilding knew that they were building the only city with a real skyline in the Netherlands, but they did and boy is it something to be proud of. All photos by Frankie except Bird by Rotterdam Tourism and Hotel Bazar by Oh the places we will go! I was itching to get over to Rotterdam when we were in Netherlands. You should! It's a great city... It's waiting for you! I went to Rotterdam with school last year and I didn't like it that much. We also went to Boijmans, but the rest? I love the old city centres that Utrecht, Amsterdam, Groningen and Leeuwarden (and a lot of other cities) have. Rotterdam's buildings are too modern for my taste. However, it might have something to do with the fact that I was born in Amsterdam..
Nice to hear that you love Rotterdam! It is indeed a great city. I lived for 1 year in Amsterdam before I moved to Rotterdam and for me there is no city like it in the Netherlands. In contrast to for example Amsterdam it is not an open museum that will stay the same forever. Rotterdam is a city that is a continues work in progress and because of this it has a very dynamic vibe to it. The problem with outsiders coming to Rotterdam is that they only see the Koopgoot and the shops, which is the ugliest part of Rotterdam. And afterwards they say 'what an ugly city'. But they miss all the beautiful places: Witte de Whitstraat, Oude Haven, Parkkade, de Meent etc. You just have to look a little bit harder. Also, don't listen to Amsterdammers who have an opinion about another city. They never leave their own city, so they don't know s**t.
Yaay, thanks for loving my city as well! I moved to London a while back and definitely miss the modern skyline (especially the bridges) of Rotterdam... and the nightlife. Any tips on staying out until 6 without having to go to a club in London? Great to see we are one of the reasons to love Rotterdam! We love this city too... that's exactly why we, two Rotterdam artists/organizers, came up with this concept. It's even better then in your description: you are matched to an artist in the same field of the festival you are visiting. 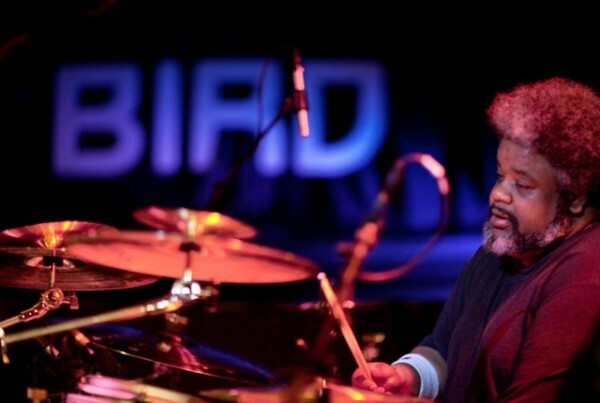 So, visiting a Jazz festival, you can book an overnight stay with a Rotterdam Jazz musician. Visiting an Art fair, you can subscribe for a Rotterdam artist, and if we do an Architecture festival you can be matched to an architect, and so on! Every edition has it's own specialized professionals. 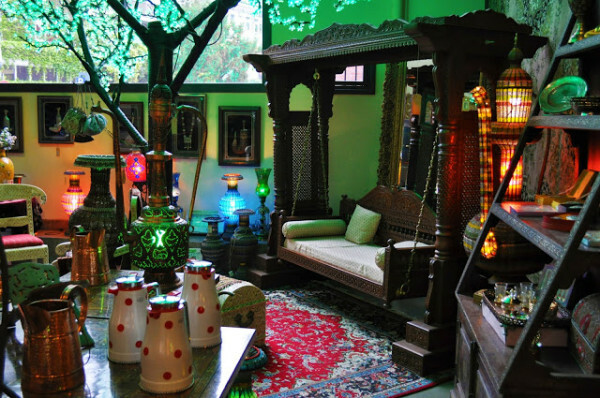 As a guest, you will get to know your fascinating host and his or her work. The exact address and host will only be revealed after registration as a guest, you cannot decide which host will be yours! This surprise element is an essential part of Hotel Rotterdam. and you'll be the first to know! Thanks for the kind words about our city! It was fun to read! Curious what places you liked the most in the "nightlife"! If you are a coffee lover, you'll have to go to UEB (http://www.urbanespressobar.nl/) ... the best! ... Rotterdam loves you back. @Berend - I mainly hit the Witte de Withstraat area and also as I said had a good night in Rotown. The bars near The Student Hotel - where we stayed - were also pretty good and open untill the early hours. @Joop Vos - Thank you for the recommendation - I've made a note of UEB! Hey this is great! So good to see Rotown on the list! One of my favourite places for the music and a yummy lunch! Okay, i have to agree there are some nice points here, but generally when i am in the metro and i look at the faces of the people around me, i dont get too happy. Rotterdam is a bit of a harsh city, they try to make it creative, but a bit in a forced way (f.e. the meent artistic galleries), it looks like a nice-try, but is not inspiring. However witte de withstraat is a nice part of town. And in Rotown there is really an in-crowd, hard to get in to, groups who think they're cooler than anyone else, and have an attitude, so do not idealize Rotown. You forgot to mention Motel Mozaique, this is the best festival of Rotterdam, and further on the shop Daily Rush is a great clothing shop. Rotterdam is the worst city in the world. Its lik an beautifull box with nothing in it! When you are near Rotterdam, you see the amazing skyline... Tall buildings, beautifull bridges and towers. Once you're in the City you experience the emptyness, you have to be a true Rotterdam recidence to know where the fun streets, shops, restaurants and night clubs are otherwise you're DOOMED in the city where nobody lives!!!! Hi Frankie, I stumbled across your article which was a nice read and I shared it with the Couchsurfing community of R'dam. It took myself a long time too to get to like this city, and indeed it was a love/hate relationship,but having lived here now for over 30+ yrs. I can say that I like this city. But as my friend Rossi stated once in an article: Rotterdam isn't for lazy people. Lazy in the term that upon arrival here, don't expect that the stuff you like or might be interested in will just be there for you instantly thrown at your feet without making an(y) effort. You need to work/look for it but this will make you get to know the city and the sense of how R'dam is which are the neighbourhoods. We like to share our love and our tips on http://www.spottedbylocals.com/rotterdam/. After always trying to communicate my preference for Rotterdam over Amsterdam to my Dutch family, it is hartelijk that someone else has documented the same in such enthusiastic detail. Still it seems a never ending war and the deciding factor might possibly be an intrinsic wiring of each individual's personality towards modernity and innovation (Rotterdam) or a quaint more trado-European culture (Amsterdam). 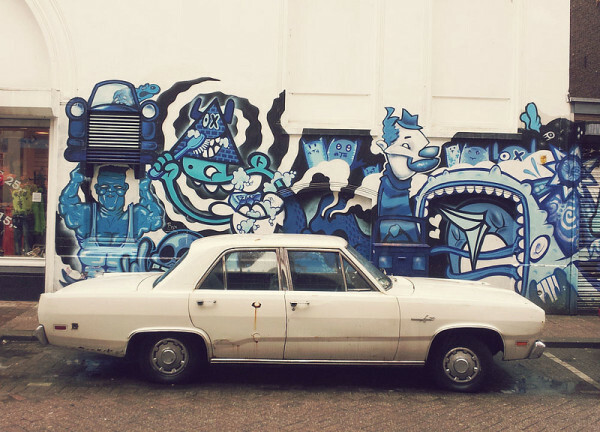 Relatively conservative as Amsterdam is, it is still considered quirky and avant-grade by other European standards. Rotterdam also is the multi-cultural pot-pourri of the Netherlands: Arabs, Asians, Africans, Antilleans, Surinamese, Indonesians and other ethnically undefinable melanges.While these various ethnicities also exist in other Dutch cities, they seem to have made Rotterdam their mother-ship. That way, the city is less Europe, more World. 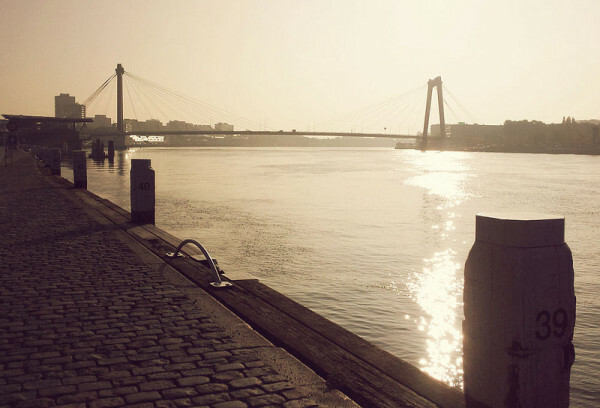 Check out the 3 big bridges across the River Maas : from the most modern Erasmusbrug to Wilheminabrug and then the abandoned movable bridge built in the 1800s, architecture which is already inspiring innovations in cities as faraway as Dubai and Lagos. 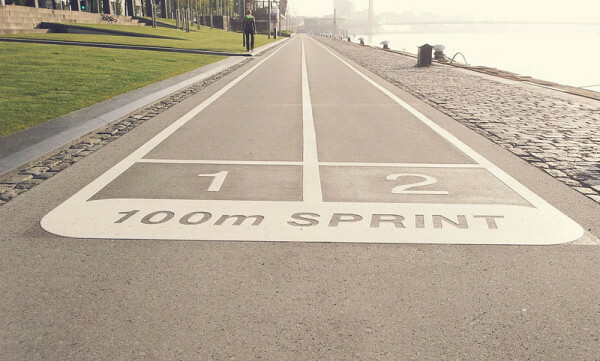 If imitation is the sincerest form of flattery, Rotterdam has a lot of fans the world over. @Ayo - Thank you for commenting Ayo - I'm glad that it struck a chord with you. I agree about the melting pot - something I love about cities like Rotterdam and of course the 3 bridges - they're really something to see. Amsterdam is like a prostitute, easy and accessible, always there for you when you want. Pretty, but arrogant. And it costs you a lot of money and there is no lasting love. Move along, because there are a lot more people like you. Rotterdam is like the girl next door, first maybe you don't like her, but after a while, the more you get to know her and you learn to see the beauty, the cooler she gets and unexpected things you will love until you are totally hooked. @Erwin - Brilliant analogy! I like this very much... Though as a resident of Amsterdam I must defend her a wee bit by saying she offers great value to me. 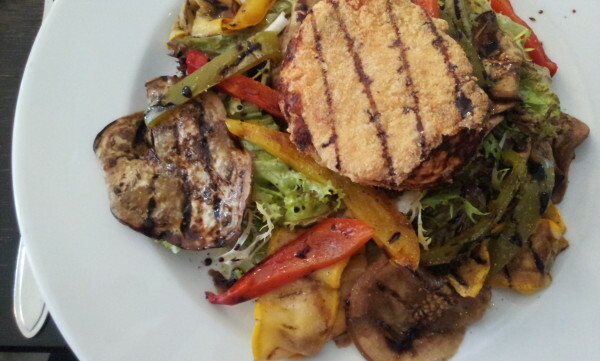 @Rénia - Thank you for commenting and for your additional tips - will be checking them out when I return to Rotterdam. @Kevin - Ha! But people do live in Rotterdam - you only have to read the comments and see how many shares this article has had to realise that. And @Ronaldus, I think these people are very happy... you should see the faces of people on the tube in London - they're all very unhappy but ask them if they love London and they'll definitely say yes... weird, huh. As I got a tip of a friend of mine, we went from Amsterdam to Rotterdam for one day. Rotterdam has a nice skyline, but it's not that impressive though. I must say I didn't like Rotterdam at all. The so called moderne architecture is of poor level and the streets are quite empty. In no way Rotterdam can compete with the lively and cosmopolitan Dutch capital Amsterdam. But it's nice to have it ticked off my travellers list. I grew up near Rotterdam. It's a fine city. But when I moved to Utrecht 6 years ago, I lost my heart to the city in the heart of The Netherlands. What a great piece on my hometown! Thank you! I'm not originally from Rotterdam and when I moved here, I found it very hard to get to know the city. The city centre with all the big commercial stores was easy to find, but it wasn't very appealing to me. But I was lucky my boyfriend (now husband) new the city quite well and showed me some great places! But for someone that's new to the city, I can imagine that it's hard to find nice spots, just like I did. Now 7 years later it really feels like home! - Little V, great Vietnamese restaurant next to the Laurenskerk (near de Meent). - Hopper, very nice coffee bar around the corner of the Bagel bakery. - For some nice shopping you can check out Oldenbarneveldstraat with nice shops such as Wendela van Dijk, ANSH, SHPPR, Roush and flowershop 's Zomers. - Groos, a shop with only merchandise of designers from Rotterdam (Schiekade 203) Groos means proud in Rotterdam slang. - Swan Market, a market/festival with nice food, music and lots of stalls with vintage clothing/furniture and designers who sell their own designs such as jewelry, clothes, toys, stationary and so much more. 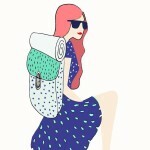 - Mode Marche, a big fashion sample sale that's organised twice a year. Great place to find bargens from Dutch designers and a few stores from Rotterdam. 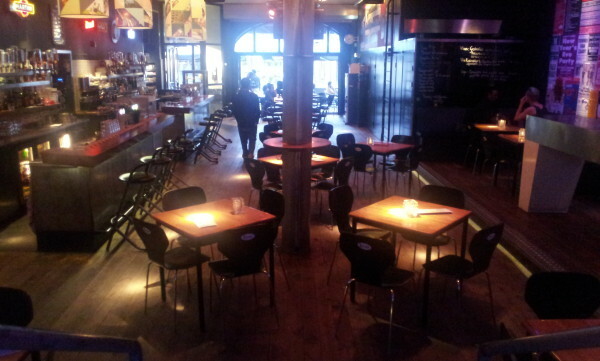 - In the first quarter of 2014 Kink Kong Hostel will be opened on the Witte de Withstraat. Next to the normal rooms there will be a huge loft with all kinds of special places to sleep, like little cabins to hammocks. Really something to check out! Hopefully you like these spots just like I do! i enjoy every second of it now !! Never went tot WORM Frankie? Very nice to hear such enthousiasm! I live in Rotterdam and I love it too. Very interesting to see how an 'foreigner' loves it too. And -unline many other people coming from other cities- you menaged to pick out just the right places. Well done! Thank you for listing our city. Truely a one of a kind city! the best "broodje kipkerrie" of The Netherlands. Angelo Betti has the best pizza in town, a very authentic Rotterdam familybuisiness. The Kralingse Bos is a great place to picknick in summer or the Vroezenpark, where you are alowed your bottle of wine or crate of beer. And the Speedo takes you trough the biggest harbour in Europe. For your kids go to the Maritiem Museum with Prof. Plons! Hope some more people will like our toughlove city. Thank you for this article! Being a born and bred Rotterdammer myself, I always feel the need to defend my city everywhere I go. It is a wonderful place, but it is extremely hard to convince people why for some odd reason. You indeed have to search for its beauty yourself. Another thing you might be interested in is the growing urban gardening movement in Rotterdam: many apartment blocks and skyscrapers now have their own rooftop gardens that are open to the public. On www.verborgentuinen.nl you can download several 'hidden garden' tour guides! YOU GUYS!!!! YOU GUYS ARE THE NEW No. 1 REASON I LOVE ROTTERDAM! Thank you for all your tips and recommendations. I will report back with 21 More Reasons to Love Rotterdam as soon as I can! I reaaallly love this article! 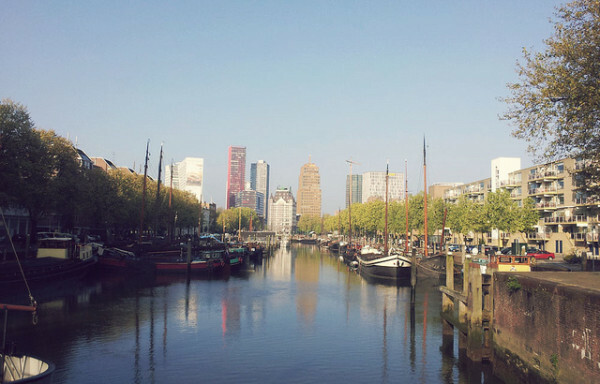 My boyfriends lives in Rotterdam, but I never knew Rotterdam is actually that nice and beautiful! I love it when "travellers" see the beauty of Rotterdam!! Instead of going to Amsterdam and stopping there because they think they have seen all of Holland. And I think that Rotterdam deserves more of this positive love you are spreading. Thank you! I think Rotterdam is still quite an underrated city. It´s the largest port in the world and that´s where people usually dismiss it..at least that´s my impression. But the truth is it´s got this great artsy vibe and it´s extremely modern..sleek, square designs everywhere you look. I´d go back just for the view of that night skyline! Summer is definitely the best time of year to visit. So many free festivals and activities, so much going on! The article is only about the centre of Rotterdam. Next time you should go more east to Kralingen, more west to Delfshaven and more south to Katendrecht. And far west you can go to the beach (by train) in Hoek van Holland. A few comments here hit the nail on the head! Rotterdam has many faces. And old spots! If you visit a pub in Delfshaven called "De Oude Sluis" ("Old Lock") and sit down on the covered balcony you'll be in a different city. And Schiedam is just around the corner, just look it up! West Square with its special cafes, restaurants, beautiful old buildings, a bit old harbor with sailboats and the park with the Euromast is a beautiful piece to bust around. And do not forget Noordplein with special pubs, restaurants, the largest kookwinkel (Cookingshop)from the Netherlands and the local market held every 1st Sunday of the month. Indeed, at the Hotel New York is great to hang around and take from there a walk to the famous Katendrecht where yo find the hippest restaurants on the Deliplein. I can go on and on, there is more, much more, some people just don't give it a chance, only superficially visit the city.They visit the city with a biased feeling to this remarkable city. On the Rotterdam vs Amsterdam thing that keeps coming up: I once read that Rotterdam is a 'cat city' whilst Amsterdam is a 'dog city'. Rotterdam wants you to take the time to get to know it. You need to put some effort in finding out how Rotterdam works, where to go and where not to go. But once you know your way around, Rotterdam is pretty damn great. By the way, Hotel New York on your hotlist, you tourist. ;) So many more much nicer (in my opinion) places to eat wonderful food in Rotterdam. I would recommend you to visit the Oude Haven (Old Harbour). Especially at night. A lot of small (cocktail)bars and very popular among students. Great atmosphere! If you like the techno/underground scene, I would recommend you to visit Toffler, Perron and/or BAR. These clubs are all situated close to the Hofplein roundabout in the city centre, close to the central station. On thursday night Blender (Schiedamse Vest / Witte de Withstraat) throws really nice parties :-) Or you can just go and have a drink at De Witte Aap any night. And if you are a real tourist, you should visit the ss (steam ship) Rotterdam, located in Katendrecht. A former cruise ship which is now permanently located there and is a popular hotel. Nice to visit on a spare day! Next time you come back to Rotterdam, come over to my place: Stampioendwarsstraten, just on the south bank of the Maas river. It's a secret oasis on the northern tip of Feijenoord, close to Entrepot. Especially in summer, when the sun is out and our little streets are blossoming it's a beautiful haven! Many of the neighbours play instruments, so you can sip your coffee sitting outside while listening to the sounds of saxophone, piano or guitar. If you're into underground/electro, apart from Perron and Toffler, club night "Herr Zimmerman" is a great party, located on the 10th floor of the old Maassilo, Factory 010. Mixed crowd of straight and gay, young and old, dancing the night away to Fraulein Z's fantastic beats. Splash Tours will provide a nice way to learn a bit about the city (especially the Katendrecht area) by taking you over road and water on a amphibious vehicle (or whatever that's called in English, one of those buses that is also a boat). You can also have pancakes on the "Pannekoekenboot" while sailing underneath the Erasmusbrug over the Maas river. Thank you so much for these great tipps. 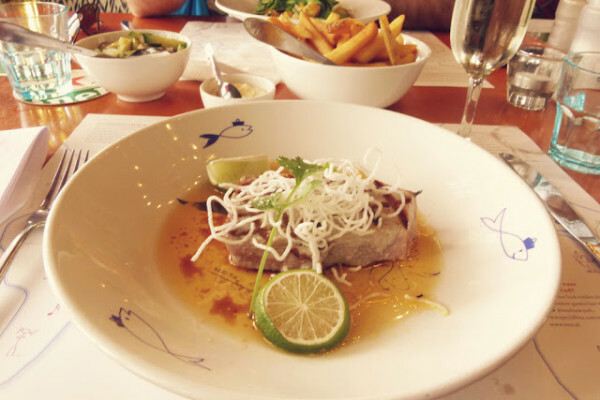 We stay in Hotel New York - and it seems that we will have dinner there... love seafood. Hotel Bazar looks nice too - next time. Hope for nice weather to have a great time there. Yes, I agree, Rotterdam is a great place and in fact I agree with you in most things. I also wrote about Rotterdam and the New York hotel in my blog Viajes de una guajira/ Travels of a villager. Ofcourse, also in a city as Rotterdam you have got a city centre and, like already mentioned before by someone, most tourists stay in the city- shopping centre. They, for instance , NEVER visit the oldest part of the city , which is Delfshaven . 2 lovely and peaceful little harbours with little houses dating from 1600.... If you are in the centre, let`s say Rotown , just walk all the way down the Nieuwe Binnenweg , with lots and lots of shops and restaurants. Coming at the end of it , just walk over the bridge ( Lage Erfbrug) and you`re in historic Delfshaven .You`ll even find a mill there ;-) and it`s only a 15 minute walk from the citycentre. Or take a tram of Metro to Kralingen , another nice part of Rotterdam , with a huge botanic garden ( Arboretum Trompenburg ). So many options to go to in this city !